Last week, I went to collect my race pack for the Nike She Run’s Race Day. To mark the occasion, they had created a special pop up event at Raffles City mall, where you could customise your t-shirt (see my design below! ), view some of the latest Nike running collections and more. One of the highlights of my day was meeting and having a training session with Marie Purvis, international Nike trainer. For those that aren’t in the know, Marie actually custom-built all of the Nike Training Club App’s full-body and targeted workouts! The Nike Training Club app (NTC) is a full-body training app that caters to any level of fitness – beginner to advanced, and includes more than 115 workouts building on strength, cardio and core training. 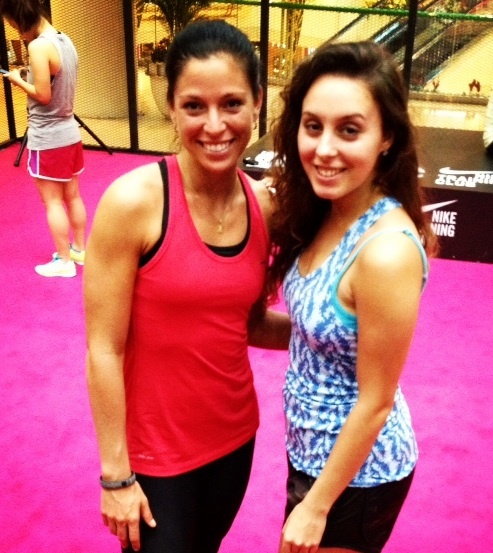 After my NTC workout with Marie (who literally killed my legs, they hurt for three days afterwards – they really work!) we had a quick chat about the Nike Training Club app! What is the most useful thing about Nike training club for you? It’s pretty much a personal trainer in your pocket that you can take anywhere, and can cater to any fitness level. The workouts also give you excellent advice and direction! What’s your favourite work out and why? My favourite work out is ‘get lean’, as its the first one I designed and great for any level of fitness. It can actually be quite intense! Not as good as usual exercise methods for functional training, but great for stretching and warming up the muscles! 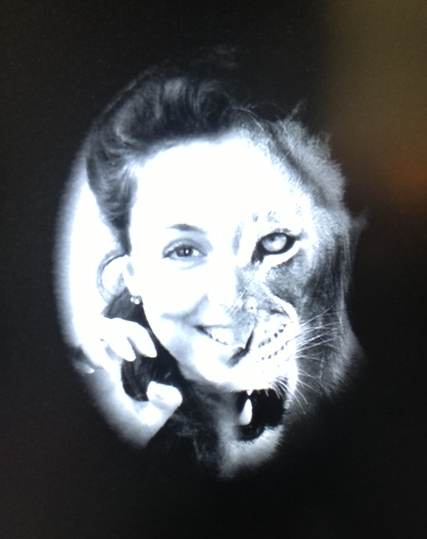 Haha, half lion me – my t-shirt design for race day!